Located 20 minutes south of Lyon, in the heart of one of the most unique sites in all of the Couteaux du Lyonnais, lies a walled clos owned by a truly maverick grower – Patrice Thollet. Domaine de la Petite Gallée is an original in a land of industrial farming, negociants and cooperatives. 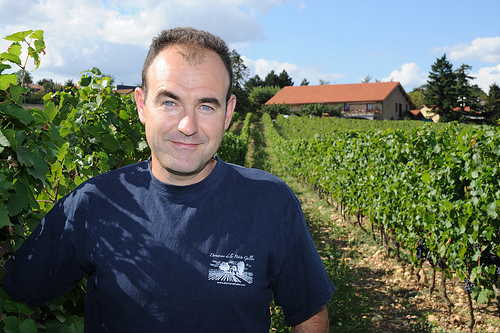 Patrice’s biodynamically farmed Gamay and Chardonnay are an oasis of mouthwatering minerality and terroir. The domaine is set on a southwest facing clos that is over 30 meters deep with glacial debris (very similar to the terroir of Crozes-Hermitage), with vines dating back to 1890! This is a micro-property of the highest caliber and we are excited to welcome Patrice Thollet to the Skurnik Wines Family.